Harbourside Holidays have three luxury self-catering holiday houses located on the harbourfront of the beautiful East Neuk village of Pittenweem. It is the perfect holiday location for lovers of coastal walks, golf enthusiasts, or even budding anglers. 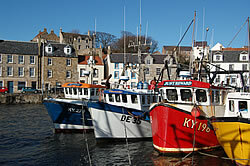 The quaint villages along the East Neuk coastline hold many treasures for the inquisitive visitor. Award winning fish & chip shops and local restaurants offer a wide variety of gastronomic pleasures for the food fanatic. And with St Andrews, the home of golf, only 10 miles away, there's an impressive selection of links courses in the area to keep the golfer in you entertained. 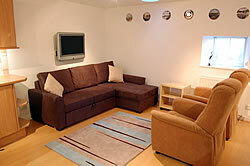 The three luxury houses are contained within Pittenweem's Old Bakehouse and have been converted to a high standard. Guests can have the pleasure of staying in The Hayloft (sleeps 2+2) or The Flourloft (sleeps 6) or Maimie's Harbourview (sleeps 8). As the properties are located beside each other, larger parties can book any combination of them depending on their availability. 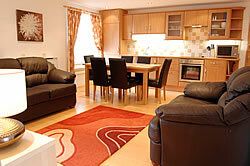 The properties have generous kitchen facilities (including fridge / freezer, washing / tumble dryer, microwave etc), flat screen televisions in the lounge and bedrooms, ensuite bath /shower rooms and wifi broadband. 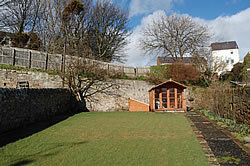 The Hayloft and the Flourloft have shared access to a lawned garden located at the rear. Maimie's Harbourview doesn't have a garden but does have stunning views overlooking the harbour. To take a tour of the properties click the links below.